Usman Khawaja has represented Australia in 24 Tests, 18 ODIs and nine T20Is so far. Usman Khawaja, Australian cricketer, has revealed his struggles with racial sledging during his childhood days, after his family migrated Down Under. 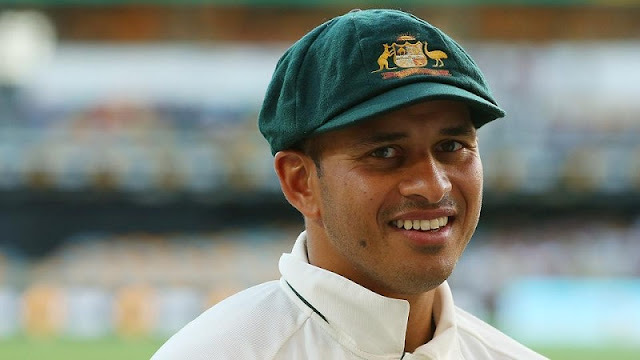 Khawaja became the first-ever Pakistani-origin Test cricketer for Australia when he walked out to bat in the all-important Ashes series in 2010-11 at Sydney, hogging the limelight as he was seen Ricky Ponting’s potential replacement. Usman Khawaja, who was born in Pakistan, had moved to Australia with his family when he was five-years-old. Right from his early days, he faced racial sledging — being called a “F---ing curry muncher” — while he was trying to find his feet in cricket. “Getting sledged by opposition players and their parents was the norm. Some of them said it just quietly enough for only me to hear. It still hurt, but I would never show it. Most of the time it was when I scored runs. Some parents take things too seriously. It is for this reason why so many of my friends, most of whom were born outside Australia, didn’t support Australia in sporting contests. I didn’t either,” Khawaja was quoted as saying to playersvoice.com. Khawaja revealed West Indies legend Brian Lara was his favourite batsman growing up. “Especially in cricket. It was either West Indies, Pakistan, India, Sri Lanka. Anyone else. It’s probably why Brian Lara was my favourite cricketer,” he said. Khawaja, who is all set to play the first Ashes Test in Brisbane starting November 23, said even other parents who were from the Indian subcontinent would not support him. “So many times, I was told by other subcontinental parents, ‘You will never make it, you’re not the right skin colour’. No joke. That might have been true in some respects in past eras and generations, but it just drove me more to prove them all wrong,” he said. Khawaja expressed confidence that Australian cricket is changing in this aspect and have begin to accept players from other parts of the world. “So why is there an emergence of multi race players now in Australia? Maybe it was inevitable with the growing multicultural community in Australia. Maybe it was a few friendly faces at the highest level. We will never know,” he said. “What I do know is Australian cricket is slowly changing and will finally have a chance to reflect what Australia really is. An international team truly representative of its richly diverse population,” Khawaja concluded.